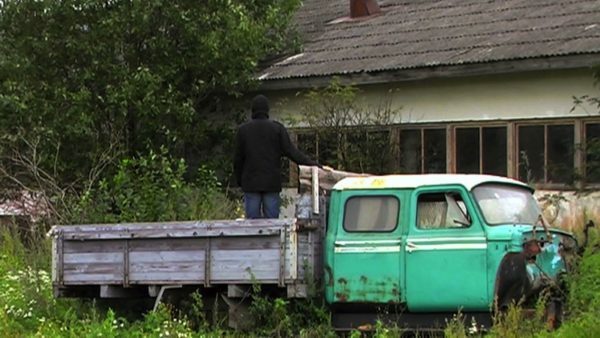 The video is a documentation of a performance held in Mooste, Estonia, during a full day in August alternating the exploration of the territory around the village with three long periods of immobility. 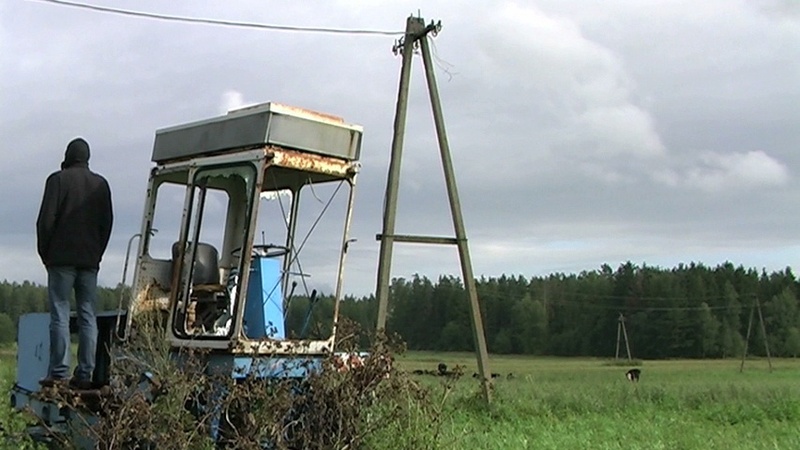 The concept was born during the symposium «Open Land» during the artistic residency in MoKS, Mooste Külalisstuudio. Sisene Avatud Maale – Enter the Open Land shows a man from behind staring at the horizon, standing still between the rusty remnants of agricultural machinery in the barn, farm and pastures of a former sovkhoz (a Sovietic collective farm). The stillness of the performer contrasts with the sound of the video that refers to exploration. 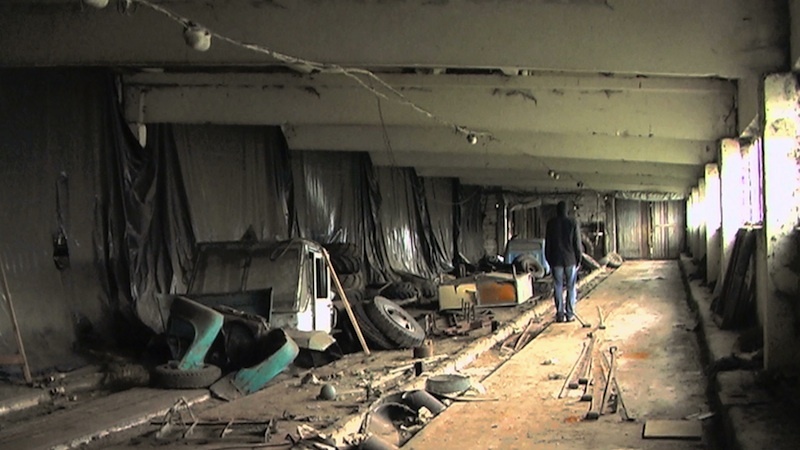 Rather than representing the “open land” of the post-Soviet era, the video shows a search for meaning in the balance between the historical past and the unsolved questions of the present.